Originally published in the April 1999 newsletter by Ted Vincent. Our club dates back to 1966 and the very beginning of the “Running Boom”. Road running was then “exclusive” for “athletes”. You had to show a doctor’s certificate to run the Bay to Breakers, and only two hundred ran the race. Our guru Walt Stack encouraged people of all sexes, ages, and abilities to participate in our club’s “fun runs”. But the idea of women in road races with men was so revolutionary that even our club had a reluctance to give women full credits. 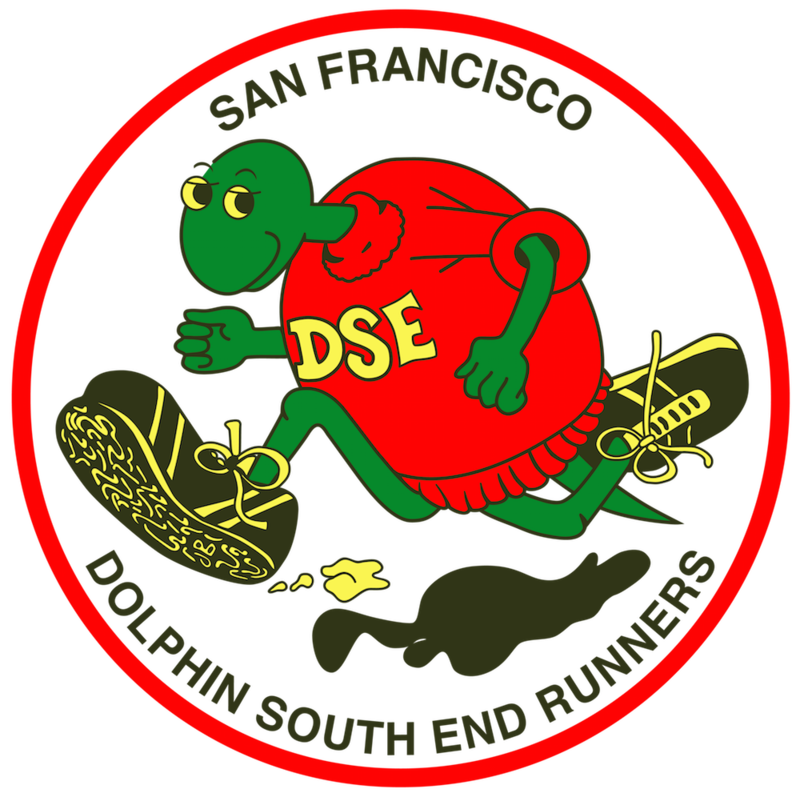 Although women ran in the “fun runs”, and although in 1966 DSEer Elaine Pederson sexually integrated the Bay to Breakers, there were no categories for women in the first DSE Points Awards which came in 1968. From the club’s start until well into 1969, women ran a shorter distance than the men in our “fun runs”. Equality for women came was Walt and the other club leaders of those years schemed to get more participation. In 1969 the awards banquet included for the first time an “Outstanding Women” category. In 1971 came “Top Families”. In 1972 the “Runningest Spouses”, later changed to “couples”, because one of the top “spouses” were Pax Beale and Pederson, who were on an extended marital “learner’s permit”. In 1973 came the “Oldest Runner” award, and in 1974 “Girl of the Year” and “Boy of the Year”. The DSE has quite a kid’s crowd, including Maryetta and Mike Boitano. At age 10 Maryette beat all the “big girls” and was “first women” in the Bay to Breakers. Little Maryetta also won the Dipsea race. After her Dipsea victory a reporter asked how such a youngster could run so fast. She replied, “I was afraid. When I saw I was all alone, I decided I better run fast or a bear might eat me.” A year later Maryetta’s brother Mike won the Dipsea. The club developed many world class starts in the grownup women’s category, including Ruth Anderson, who was later elected into the Track and Field Hall of Fame, and Natalie Cullimore, ultrarunner extraordinaire, who ran an unbelievable 16:11 100 mile race in 1971. Then there was Walt Stack and his achievements in the Over-60 Mens Category. He ran a string of marathons in just under and just above 3:30. And he ran having a good time, showing the world that marathoning was fun. He made it a habit to run carrying a beer (or a six pack). Walt ran the first Western States 100M, and he and his running partner Jim Fauss drank so many beers along the way that by the time they reached the Auburn High School track for the final quarter mile, the gates were locked. The two snuck in a side entrance. Western States requires immense energy, drive, and personal struggle. Walt had showed that even in such a demanding race, one could still have fun.